New additions to Vermont State Parks are aimed at encouraging people to enjoy the outdoors with an eye toward sun safety. Eleven free sunscreen dispensers have been provided at various Vermont State Parks to cut down on growing Melanoma rate. The Vermont Health Department says the state has the second-highest per-capita rate of new melanoma cases. Health officials say an estimated 90 percent of melanomas are caused by UV exposure. While Edson came prepared with plenty of sunscreen, for people who forget sunscreen, or who simply run out, a new partnership is increasingly making it available free inside Vermont State Parks. A free sunscreen dispenser near the reservoir in the Waterbury Center State Park was installed just this week. 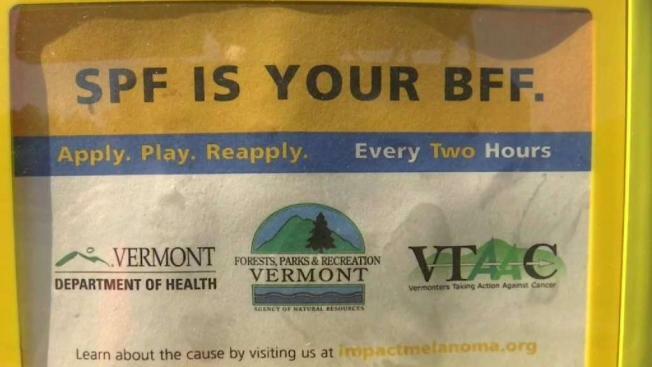 The new dispenser is one of 11 the Vermont Health Department and Vermont Department of Forests, Parks, and Recreation teamed with the non-profit IMPACT Melanoma to scatter through busy parks around the state. Vermont health officials say Vermont has the nation’s second-highest per-capita rate of new melanoma cases, behind only Utah. One theory as to why is the large population of fair-skinned people in Vermont who love the outdoors. Another is that some may not think the sun in northern New England is strong enough to cause problems. However, it absolutely is strong enough to present serious dangers, said state cancer control program director Sharon Mallory. Mallory said an estimated 90 percent of melanomas are caused by UV exposure. Most of those cases could be prevented, she added. The goal is to expand the sunscreen dispenser program in future seasons to more state parks, as well as to other municipal parks and outdoor areas, Mallory said. 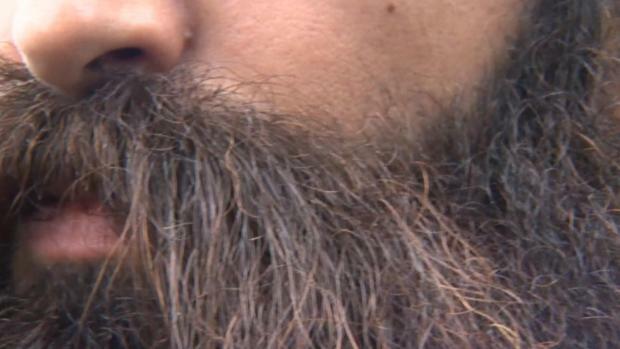 On top of cancer prevention, the health department is underlining the importance of early detection, urging folks to talk to a healthcare provider about concerns over skin discoloration. Apply a broad-spectrum sunscreen that’s SPF 30 or higher, even on overcast or cloudy days. Reapply sunscreen at least every two hours and after swimming, sweating or drying off. Be extra careful around surfaces that reflect the sun’s rays, like sand and water. Wear protective gear like a hat with a wide brim and sunglasses. Wear a t-shirt, beach cover-up, or even better, long-sleeved shirt and pants or long skirt. Skip the “base tan.” A tan indicates damage to your skin. Indoor and outdoor tanning are both dangerous. In 2012, Vermont became the second state to prohibit the use of commercial indoor tanning by youth under age 18.